Our understanding of the most important aspects of Roman art suffers from a lack of context. Elizabeth Marlowe’s Shaky Ground is everything I want in an academic book. It is well written, engaging, takes on a unique topic from a position of expertise, and it is short. Short is good. It’s a clear and concise read. You can take on the whole book in one long sitting. Also now that it is out in paperback, Shaky Ground is extremely affordable, a rare quality in an academic book. The low price point means it is an easy and worthwhile purchase, certainly for academics will no doubt want to cite it, for students, and I think even for the interested but non-specialist public. This is a very readable academic work about the dangerous influence unprovenanced Roman artefacts have on our understanding of the past. I dig the terminology in this book. I might adopt it. 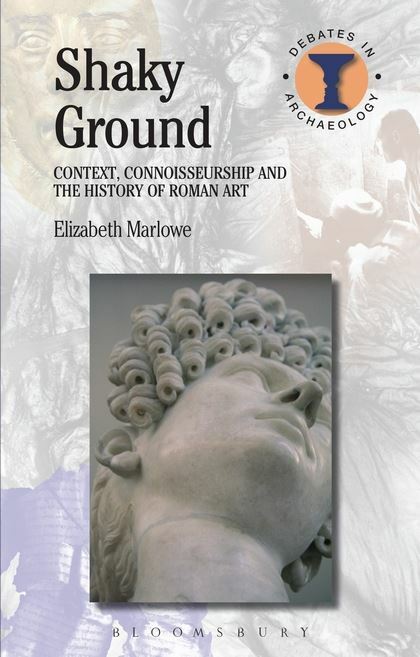 Marlowe uses the terms “grounded” and “ungrounded” to describe artefacts that were excavated archaeologically and those that were not, and I love it. Much more so than more familiar terms like “unprovenanced” or “contextless” etc, “ungrounded” emphases distance from the earth and distance from humanity’s remains. A grounded object is anchored in space and time. An ungrounded object is unconstrained, floating around like a balloon filled with hot air. One provides a solid foundation to build cultural analysis on. The other very clearly does not. But ungrounded objects fill Roman art books and are, as the author argues, often uncritically at the centre of serious academic work, even when grounded works which display the same artistic qualities are available. Why? Because the ungrounded artefacts have now trickled into accessible big-name museums. The collections of small archaeological site museums along the far-flung edges of Rome’s ancient influence are not easy research locations for students and scholars. Also, perhaps more importantly, the Roman art scene doesn’t name and shame the scholars who use ungrounded works, even when publishing such shaky pieces actively works against what could be seen as proper, solid, ‘grounded’ scholarship. Marlowe does call her fellow Roman art scholars out, and not for the most predictable sin, namely the destruction of archaeological sites. While she does acknowledge the heritage destruction inherent in the looting of Roman artefacts, that isn’t the focus of her book. Rather Marlowe casts the uncritical study of ungrounded Roman objects as a threat to the very purpose of her profession. A threat to scholarship which scholars are ignoring because to tackle it head-on might force a re-write of Roman art history. 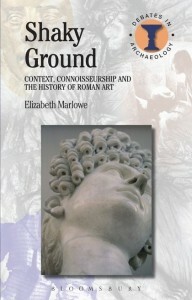 The core of Marlowe’s argument is that nearly all scholarship and understanding of Roman Art is built upon an unstable foundation, a “Shaky Ground”, and that we need to reevaluate how we talk about Roman art, what Roman art we use in analysis and publication, and how we display Roman art in museums. Marlowe says that since the very beginning of the study of ancient Rome, expert opinion has been valued above real analysis; connoisseurship has been valued over context. Thus scholarly work tends to focus on Roman artefacts as art objects and scholars study the artefacts’ merits as they relate to their creator, rather than the long life of the objects within the cultural experience of the Romans. Looted Roman artefacts enter the canon, distorting our view of their use. Fakes abound, but we lack the ability to dismiss them. It’s a mess. I admit that especially in the final bits of the book, I don’t feel that Marlowe fully engaged with the massive amount of very useful and relevant literature on the topic of illicit antiquities. Her bibliography, in that respect, is about a decade out of date and she is missing some critical texts that would have enriched her argument and, perhaps, clarified some assertions that I don’t think are supportable. Yet this doesn’t detract from the merit of the book at all. 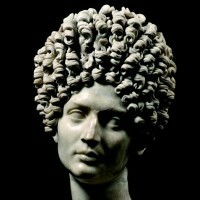 Read my (one day) book for that stuff, and hers for a valuable and unique argument for the primacy of archaeological context as well as numerous relevant case studies from the Roman art world.